On the days of the scientific research Egesta Lopci received a nominal invitation from the Italian president Sergio Mattarella. She was invited to the Italian presidency as one of the personalities of medicine that dedicated her life in discovering the tumors. 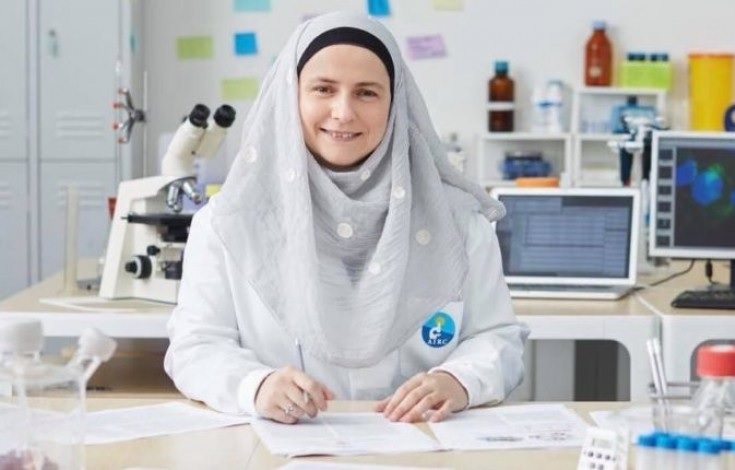 A Muslim scientist from Shkodra, Egesta Lopci, is an advanced nuclear medicine researcher. She is honored lastly with another international award for scientific research on cancer fighting. Dr. Lopci lives, studies and works for 20 years in Italy. Some scientific efforts of her are the working as a doctor in "Humanitas" hospital in Milan, speaker for the master of Pediatric Hematology at "La Sapienza" in Rome, a member of the Ethics Commission and the European Pediatric Medical Association. Egesta belongs to a family of Shkodra citizens of the Islamic faith, which has not prevented her from studying in Italy, and even choose to maintain the distinctive garb of this belief - the headscarf. She completed the high school at "28 Nëntori" high school in Shkodra and after applying, she was granted the right to study for "Medical" at the University of Bologna in Italy, where her first cycle of studies ended in 2006 with maximum results. 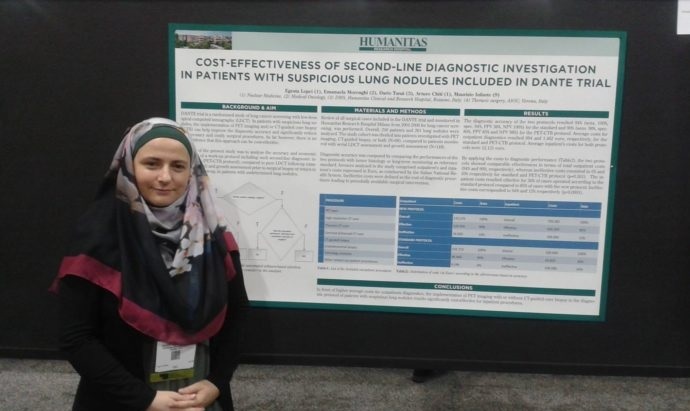 Her research focuses on the use of PET as a method of investigating the tumorial pathologies by injecting radioactive molecular markers, which monitors the tumor from outside to identify the characteristics of its spread. It also co-operates with the Italian group of Hodgkin in lymphoma studying in children and is a nuclear medicine referent for this group. Along with some other Italian colleagues, she followed a study on tumor and neuroblastoma in children. She is the author and co-author of several scientific articles and books, where the latter is the book Compendio di Diagnostica Medico Nuclearebook related to the diagnosis of tumor diseases. She received the award from the European Nuclear Medicine Association (EAMN).